Dogs are our fur babies. They are part of the family and we want them to always be healthy and strong. As loving dog owners, beginning from when they are puppies and right through to when they are adult dogs, we read the food labels, comparison shop, and ask others for advice about their dog’s diet: what they feed their dogs, the best dog food brands, is wet dog food OK, the best balanced nutrition, the best natural dog food or homemade dog food including fruits and vegetables (and the worst dog foods to avoid), and the possibility of food allergies. Our vets are also great sources of information about pet foods and can help us make a great choice for our dog based on breed, size, and age. Because dogs are naturally carnivorous, they will prefer dog food made from high-quality meats with limited fillers and vegetables. This can be found in either dry or canned dog foods. Smaller dogs tend to be pickier eaters and tend to prefer canned food. Medium to large size dogs are less picky and will generally try anything. Ask all pet owners about the best foods for their beloved pets and they will all give you’re the same answer: searching for the best dog foods can lead you to dozens of websites with conflicting opinions. 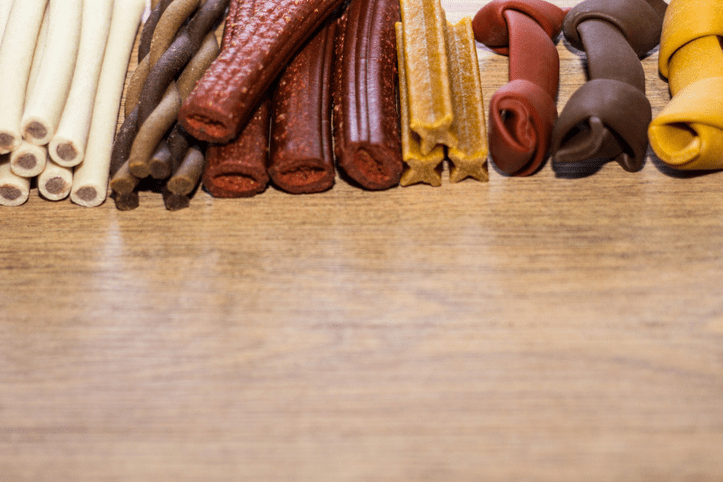 However, a review of the commercial foods available led to an undeniable consensus when it comes to vet-recommended foods (by brand). So, what are the best products on the market to ensure your dog’s health, according to vets? Made in the USA, every ingredient is tested for purity and nutrition that exceeds pet food industry quality standards. All varieties of Hill’s Science Diet provide excellent nutrition your dog needs. All Hill’s foods are made from all-natural ingredients of the highest quality. Hill’s never uses artificial flavors, non-natural colors, or chemical preservatives. What is most unique about the Royal Canin brand is the way the dog foods are packaged and sold. Royal Canin has formulas based on size, breed, dietary restrictions, specific health issues, and more. Some formulas even require a veterinary prescription for purchase. Overall, Royal Canin products contain high-quality protein, dietary fiber, omega-3 fatty acids, and support for bones and joints. Purina Pro has a unique blend of kibble combined with shredded morsels to give your dog a treat at mealtime. Real chicken is the first ingredient providing a 26% protein-to-fat ratio for optimal health. Purina Pro also packs its food with vitamin A and omega-6 fatty acid to support your dog’s skin and coat Purina Pro also contains live probiotics to help sustain healthy digestion. Orijen dog food has more natural ingredients than most commercial dog foods. The first three ingredients of the original formula are chicken, turkey, and yellowtail flounder. Navy beans, lentils, and chickpeas are just a few of the all-natural vegetables in the formula as well. This made in the USA dog food sources all natural, local ingredients from the regions surrounding Kentucky. Wellness CORE dog foods offer grain-free formulas that include turkey, chicken, fish, duck, and raw ingredients. Each serving includes antioxidants, omega fatty acids, glucosamine, probiotics, and chickpeas and lentils in place of ground vegetable meal. Wellness CORE is also made in the USA and sources the best ingredients. Castor and Pollux prides itself on providing organic and all-natural foods for your dog. Each organic recipe is made with organic meats, organic vegetables, organic fruits, organic oils, and organic spices. The foods are rich in omega-3 and 6 fatty acids for a healthy, shiny coat and healthy skin. Each bag of Castor and Pollux organic dog food is made with at least 95% organic ingredients to give your dog the safest, healthiest food possible. The IAMS/Eukanuba brand has been a leader in top-quality dog food for many years. Their recipes are made with farm-raised chicken as the first ingredient. IAMS/Eukanuba wants to ensure your dog has food that uses high-quality protein to build strong muscles. The blend of prebiotics and fiber offered in the recipes help your dog maintain a healthy digestive system. Nutro Ultra’s wholesome dog food formulas are made with farm-raised chicken as the first Ingredient for great taste. The high-quality protein helps to support strong muscles. Nutro’s omega-3 & 6 fatty acids promote soft, healthy skin and a magnificent, shiny coat. Your dog’s immune system will get a boost from the essential antioxidants like vitamin E. Nutro Ultra is made with absolutely no GMOs to provide the best, most natural nutrition for your pet. The Honest Kitchen brand is unique in that it is sold in a dehydrated version. Owners measure out the meal and add warm water. This creates a fresh, great tasting meal for your dog. Honest Kitchen dog food is made with free range chicken, human grade organic whole grains, and contains no preservatives. Honest Kitchen uses no by-products or GMOs. All recipes are made in the USA. Natural Balance dog foods are all grain-free recipes with meat as their first ingredient. There are no artificial colors or flavors in Natural Balance dog foods. The varieties offered include venison, duck, chicken, turkey, beef, bison, lamb, fish, and even a vegetarian recipe. They offer recipes for overweight dogs and dogs with special dietary needs. Before choosing a dog food brand for your pet, do some research. See what types of proteins are best for your breed and size. Find out if your dog is more likely to want wet food or kibble. Learn about the importance of good digestion, and the overall picture of a healthy dog. 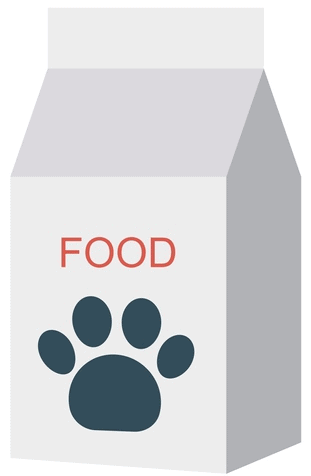 If your dog is finicky, it may take multiple tries to find just the right food and formula to satisfy his appetite. When you first bring your fur baby home, purchase a small bag of food to test out. If he loves it, you’re in luck! If he hates it, you haven’t spent a small fortune on a 30-pound bag of food he will never eat. Keeping our pups healthy starts with the food we give them every day. You should always be a good parent to your pet and that starts with researching the various diets and foods available on the market. Once you find the right formula for your dog, keep your pet happy and healthy by maintaining a steady diet that he loves.